Cyndi started her career as a veterinary technician in 1986. She managed a hospital in Northern Mass before joining the Edgefield team in Jan. 1992. She has also been working part-time at the Veterinary Emergency Center of Manchester since 1997. She lives in NH with her husband, Brian, and their cat, “Fizz”. In her free time she loves hanging out with family and friends and enjoys swimming, reading, camping and riding her Harley. Janet was a client for many years before joining our team in 2006. Even though her background is not veterinary, she loves the people and the animals she meets working here. She shares her home with her dogs, "Eva", a lab and "Fae" a flat-coated retriever, her horse "Puck" and her husband. In her free time Janet enjoys dressage, trail riding, walking her dogs and gardening. Melissa joined our team in 2007. She has loved animals since she was a little girl and has a cat, dog and horse of her own. She also works at a local restaurant and enjoys working with people and animals. 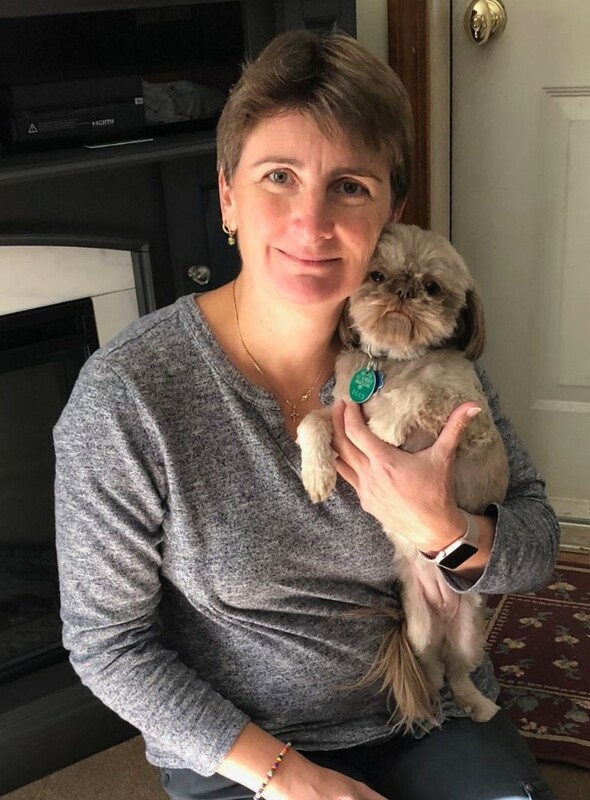 In the little free time she has, Melissa enjoys showing horses, being in the barn, relaxing with her cat and dog, and spending time with her husband, family and friends. Robin joined us in Dec 2013. 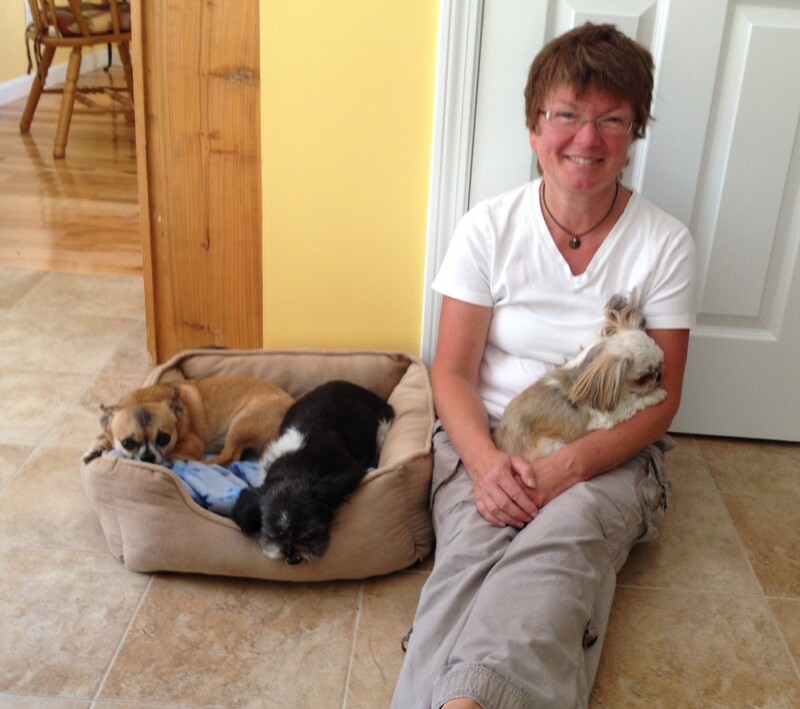 She started her career as an Animal Control Officer and entered the veterinary field in 1984. 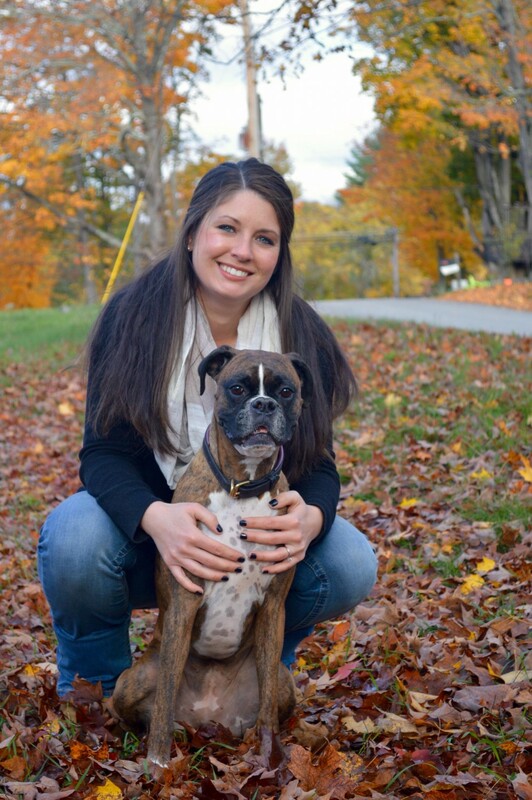 Robin grew up in Hudson NH and obtained her BA in psychology/sociology from UMASS. 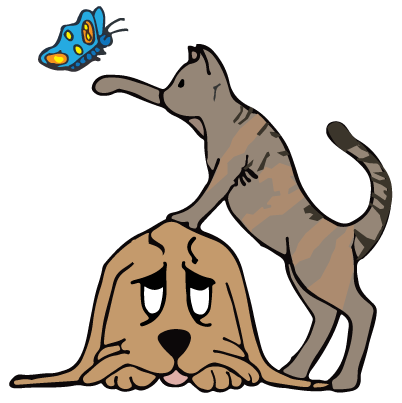 She has been in the veterinary field her entire adult life and has a great respect for the profession and the human-animal bond. She currently lives in NH with her wife, Suzie and their chihuahua, Batman, and four cats, Colby, Frito Lay, Daisy and Smokey. When not working she enjoys hiking in the White Mtns, biking, walking Batman, reading and spending time with family and friends. Sarah joined us in March 2017. She attended Essex Agricultural and Technical High School where she completed the Veterinary Technology and Equine Science Program. She has been working as a veterinary technician since 2011 and enjoys every aspect of working in the field with a special interest in surgery and anesthesia. In her free time she can be found riding her thoroughbred “Hof” and spending time with her Bernese Mountain Dog “Misty”. Mark joined us in March 2017. He has a degree in Criminal Justice but his love of animals has kept him in the animal field for over 22 yrs. He has worked as a technician in both general practice and emergency veterinary hospitals. He lives in Northern Mass with his wife and 2 daughters and while he has no animals of his own he loves getting his animal “fix” with all the patients he cares for here. Maura joined our team in 2018. 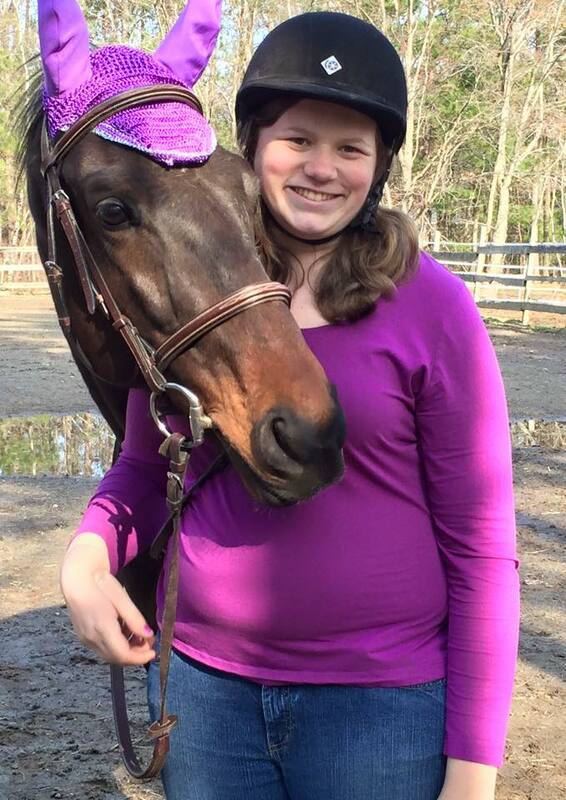 She earned a BS in animal science at UNH and has been caring for animals in a variety of settings for more than 25 years. In addition to working here, Maura also serves the communities of Atkinson and Plaistow as Animal Control Officer. Maura lives in southern NH on a small farm with her husband, 2 kids, 3 dogs, 3 cats, a number of goats, alpacas and chickens and a llama named Hobbs. In her free time, she enjoys beekeeping, riding her motorcycle and spending time with her family, friends and pets. Sophie joined us as a technician assistant in 2018. 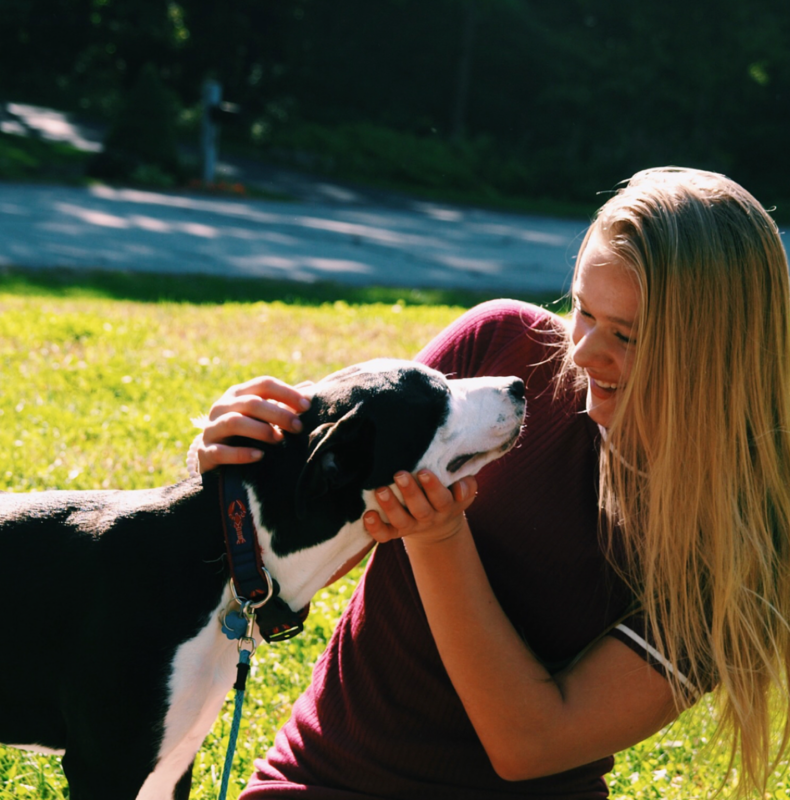 She is a junior in high school and is considering a career in veterinary medicine (like her mom, Dr. Emily)! When she’s not in school or working Sophie enjoys riding horses, playing with her goats and dogs, shopping and hanging out with her friends. Alice joined us in 2019. She has had a love of animals ever since she was a little girl and loves caring for them in whatever way she can. She has been a veterinary technician since 2007 and can’t imagine doing anything else. Alice is currently studying to take the NVTE test to become a Certified Veterinary Technician. 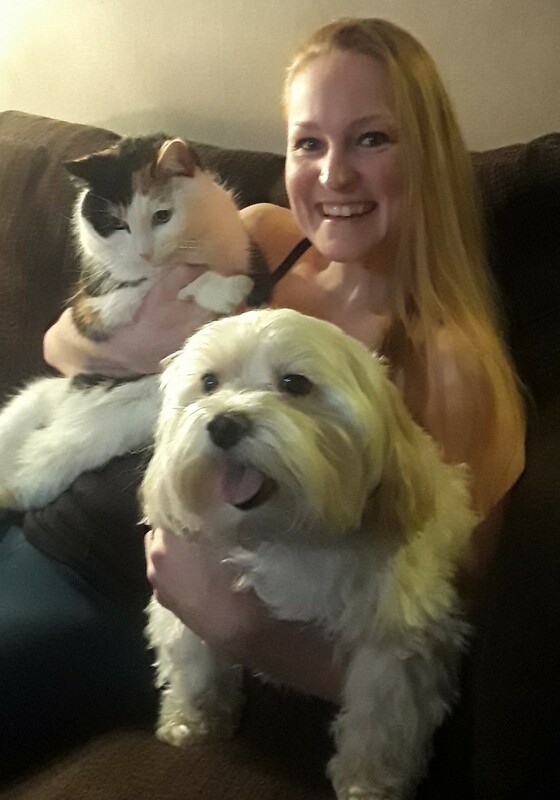 She lives in NH with her adored pets “Rex”, a maltese mix, and “Tigger”, her cat. Alice is a free spirit and while she loves life in general, she particularly enjoys spending time with her family and friends and being outdoors skydiving and scuba diving. Big Red started life out on the streets. 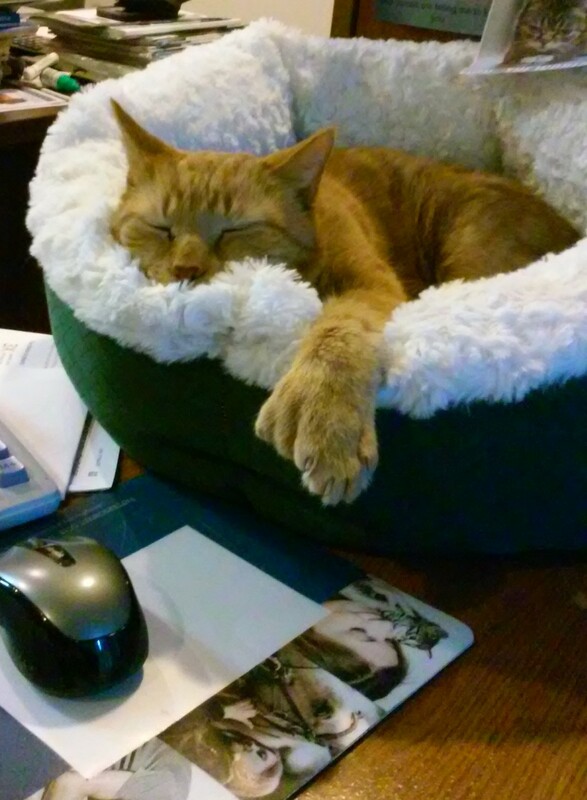 He came to us as a town stray in 2002. We instantly fell in love with him and he fell in love with the “they cater to my every whim, indoor cat” lifestyle. He works hard every day helping with lab work (climbing on our shoulders and purring while we look through the microscope), oversees paperwork (you can see how hard he works at that in his picture) and making sure all the animals here have a comfortable stay (especially stray kittens the town brings…he is SUCH a good foster dad!!). He is a integral part of the team and we can’t imagine a workday without him! Sadly, we had to say goodbye to Big Red in August. He was such a big part of our lives and so many of our clients lives that we have decided to leave his picture up to honor him and all the love he gave.